I was expecting to have warm and cheerful Spring weather by now, but I am instead shivering in my boots! Where did this sudden cold weather come from?! Everyone take care not to catch a cold! Anyway, today I’m going to be taking a look at some of the more detailed points of this set I looked at last week! 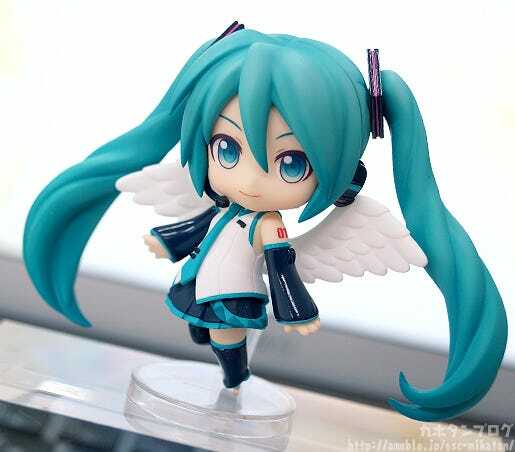 Nendoroid Petite: Hatsune Miku Renewal! A brand new series of Vocaloid characters is joining the cute articulated ‘Nendoroid Petite’ trading figure series – Hatsune Miku Renewal! 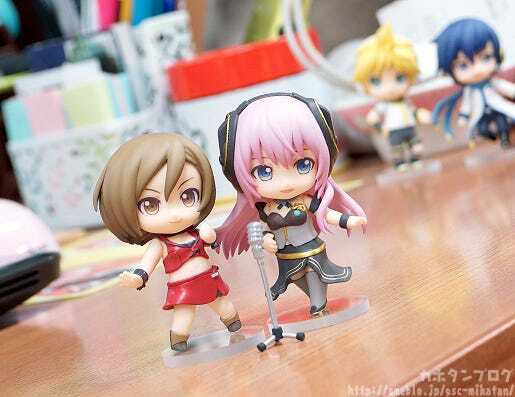 The set includes six different characters all dressed up in the outfits of their most recent versions – including Hatsune Miku V3, Kagamine Rin V4X, Kagamine Len V4X, Megurine Luka V4X, MEIKO V3, KAITO V3. I’ll be having a chat with the set’s head planner, Hamako! 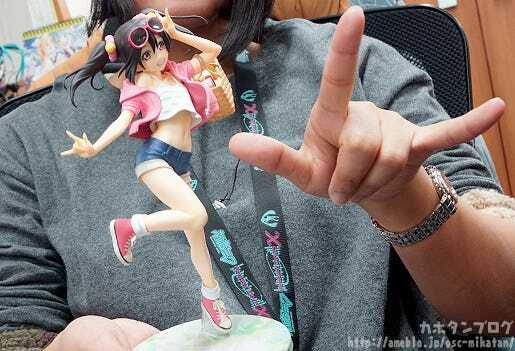 △ Hamako joined the GSC planning team at the same time as me! 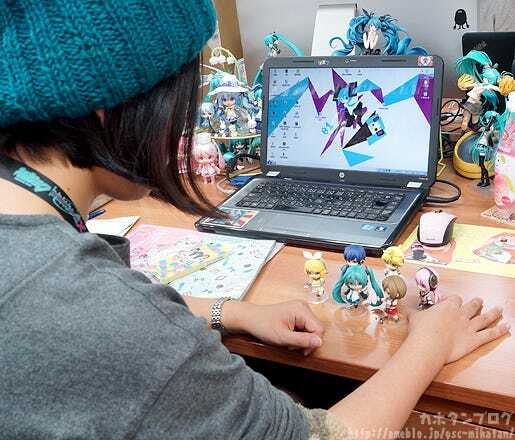 As you can see, her desk is filled with a variety of Hatsune Miku items… why don’t you give us a quick introduction seen you haven’t been on the blog for awhile now! 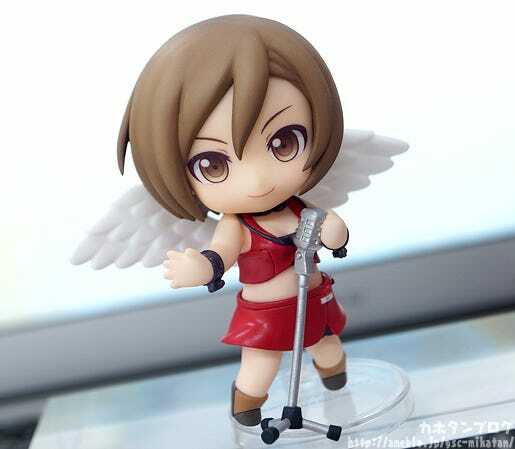 Nendoroid Petites normally have a fairly rounded appearance, but the edges of these outfits and hairstyles are so neat and precise! 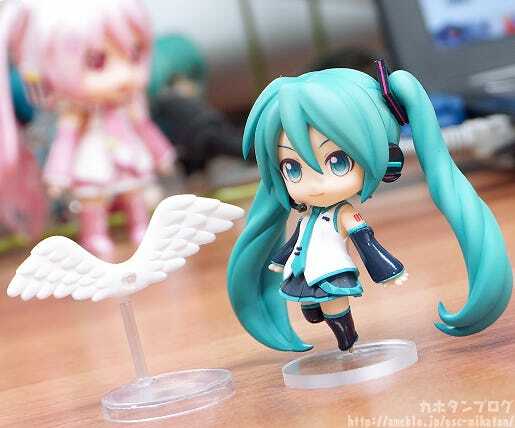 This means that you can really display Miku by your side as the angel that she is!! And there we have the three highlight points from the figure’s planner! Thanks for your time, Hamako!! Even though the characters are so small, the amount of details and personality that is placed into them is absolutely incredible!! ♥︎ Who do you like the best, Hamako? Miku-san? △ They really are the perfect size to fit in the palm of your hand! 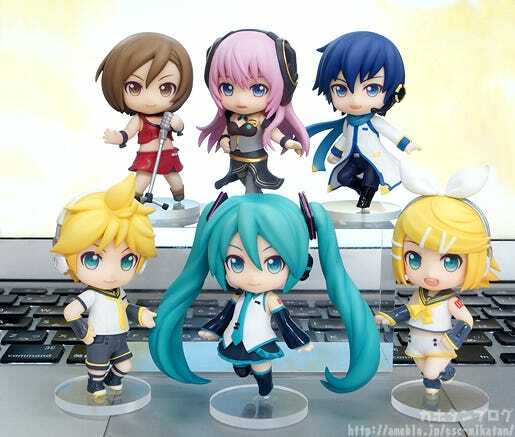 The Nendoroid Petite: Hatsune Miku Renewal set will be up for preorder from tomorrow!! 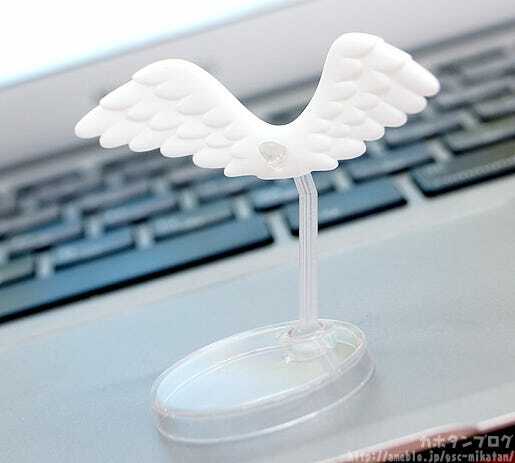 △ Quick and easy to attach to the character of your choice! 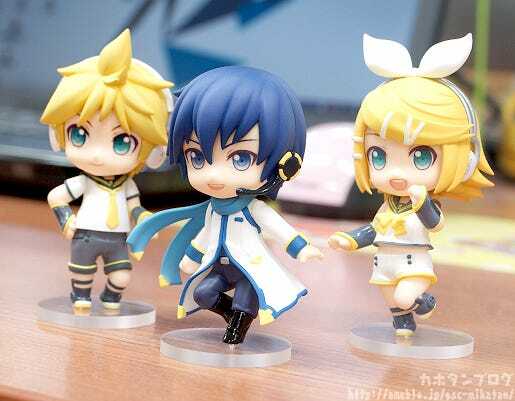 Only one pair is included with the BOX preorder, so you’ll have to pick just one character to become an angel by your side! More details will be up on the GSC Website tomorrow!! After reaching its 15th anniversary, Good Smile Company is taking a step into the world of Smart Phone Games. 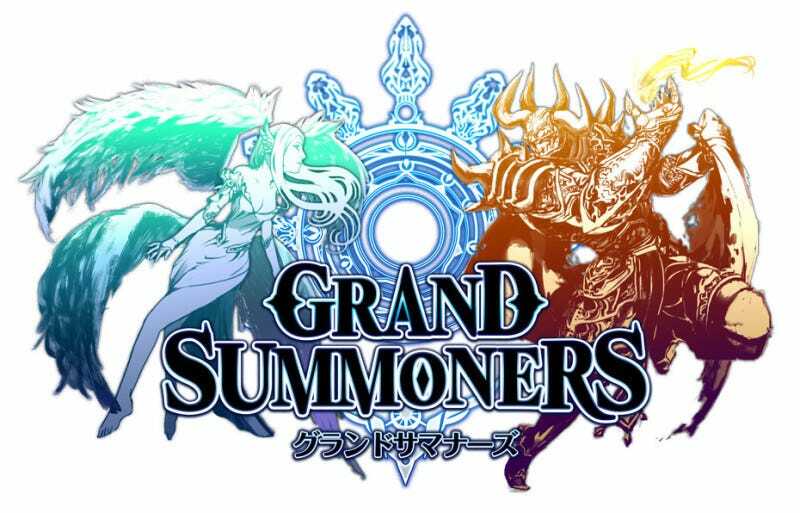 The first game will be a classic RPG designed with multiplayer battles – Grand Summoners. The multiplayer system will allow players to quest together in groups of four, each controlling one character. 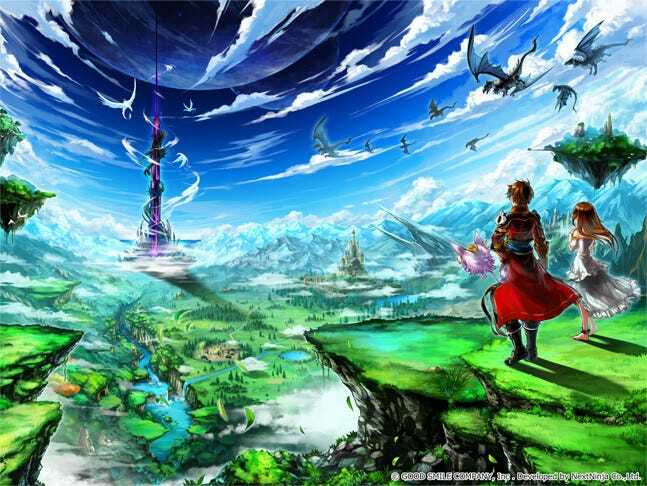 The game has been directed by Hisatoshi Hayakashi from Aidis. Hisatoshi Hayakashi has been working on mobile games since 2001, and was the general director for the hit game ‘Brave Frontier’ in 2013. Thereafter he worked on Final Fantasy: Brave Exvius with Square Enix before establishing his own company ‘Aidis’ on the 27th of January 2016. Ever since the company’s establishment, Aidis has been hard at work on building Grand Summoners. My submission for Perfect Date!! 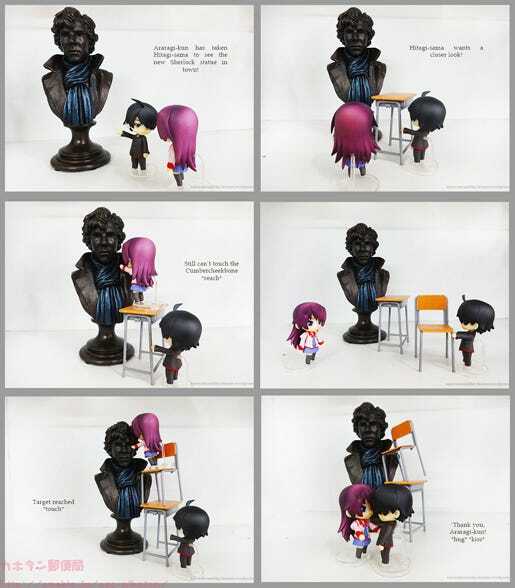 Araragi takes Hitagi to see the new Sherlock statue in town! I made a comic too! !